Even on Good Friday there was hope. Hope that the one they had followed, the one they had believed would conquer Rome and free them all would come down from the cross and save them. On Saturday, all hope was gone. Drops of dew cling to blades of grass. Fog shrouds the earth like the gauzy cloth they had wrapped around their master hours before, burying their hopes and dreams behind a huge, grey, immovable rock. Everything is still. Not even the slightest breeze rustles the leaves, or stirs the thick, stifling air. As though the earth, like all of them, holds its breath. Waiting. Memories of the day before assault them. They shudder. A day filled with slashes of red and suffocating, unnatural dark. The clanging of metal against metal and the laughter – the screeching, mocking laughter. Sights and sounds they will never be able to erase from their minds. They tremble. They bury their faces in their hands. They wait for the pounding on the door, for rough hands to drag them away to the same fate as the one they had followed. The one they had believed in. The one they had given everything up for. For nothing. They weep, shoulders heaving, reaching for one another in a desperate – and vain – attempt to find comfort. Comfort needs hope, so there is no comfort anywhere, in anything. Except maybe in the faint, whispery echoes of the words he had spoken to them. Talk of the third day, of the temple destroyed and rebuilt. Words they didn’t understand then and cannot begin to comprehend now. 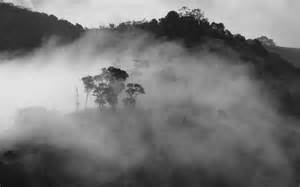 Whispers they try to reach for, to grasp, but that dissipate in their numb fingers like the morning mist on the sea. They sit, knees drawn to chests and backs pressed to cold, damp walls. They mourn. For him. For themselves. They wait. They try to draw in one painful breath after another, pushing back thoughts that it would be better to just stop trying. I hope the new year has been good to you so far. It is snowy and sunny here in Ontario, Canada, and it’s amazing how much that lifts the spirits. Today I’m working on design ideas for the cover of my next romantic suspense novel, Vigilant, coming in June 2019. My publishing company has a fabulous designer, but they welcome their authors to participate in the ideas stage of the creative process. I’ve been combing through thousands of images the last couple of weeks, searching for inspiration. Hopefully I’ve come up with a few ideas that might work. I know firsthand how difficult it is to overcome the challenge of a cover that doesn’t quite work for the book, as I experienced that with the original covers of The Seven Trilogy. Although the designer (different designer, different company) did a great job with them, they didn’t quite match up with the genre, which may have contributed to slow sales as my target market wasn’t drawn to them. The covers have since been redone, but only time will tell if that will be enough to make up for the cooler-than-hoped for response to the books when they were released. So the pressure is on with my next set of covers, for The Night Guardian Series. Because the truth is, although we’re warned not to, as humans we really do judge books by their covers (I know I do). Very often this expression is used to warn us not to judge people by the initial impression they make, yet we have a tendency to do that as well. Which is a sobering reminder for believers. As followers of Jesus Christ, it does matter what we do and say and do, how we present to others. As Jesus put it, “In the same way, let your light shine before others, so that they may see your good works and give glory to your Father who is in heaven” (Matthew 5:16). This means, if we are not living lives worthy of our calling, it not only reflects badly on us, it reflects badly on God. Whether we like it or not, our “cover” speaks volumes to the world, not only about who we are, but about the one we claim to serve. My prayer for myself this new year is that the cover I present to the world will at all times bring glory to God. That the words I speak, the way I say them, whether or not I show love, kindness, and compassion towards others, everything I say and do will draw others to him and not push them further away. May the covers of each of us who call ourselves Christians reflect who we truly are – humble, broken but redeemed, grateful believers in Jesus Christ. And may others see that in us this year and be blessed. Like most people, I am full of good intentions regarding the various aspects of my life. Professionally, for example, I have lots of ideas about how to better market and promote my work, but I only have the time and mental energy to incorporate one at a time (if that). For starters, I recently committed to posting on my blog every Friday (seriously, once a week, even I can handle that, right?) Apparently not. For several weeks I posted faithfully and then, well, life. I became swamped with editing projects for other authors, rounds of edits on my next novel (I’m allowed a shameless plug on my own blog, aren’t I? If so, Vigilant, Book One of The Night Guardian Series, release June 2019! ), kids, husband, Christmas shopping, family health issues, finances, and on and on. So the last three weeks I have failed to deliver on my promise to myself and to you. Thankfully, it is the start of a brand new year, always a good time for renewing vows and promises and following up on those good intentions, at least for a few months (or weeks). So I will attempt to get back into that routine, starting this week. As a next step, I hope to launch a newsletter early in 2019 (stay tuned for more on that). Good intentions in other areas of my life are not always (ever?) sustained either. Spiritually, I need more quiet time in the Word, feeding my soul and growing deeper in my walk with God. Having just come through the Christmas season, when I was reminded at every turn of God’s love for the world and his plan to reconcile us to him through the birth, life, and death of Christ, I now desire to re-commit myself to being more intentional in reading the Word daily and to “praying without ceasing” as the Apostle Paul admonished believers to do. Physically, the usual – eating better, exercising more. When I do this I feel so much better and have so much more energy I ask myself why I would ever not live like this. And then I slide so easily back into bad habits. A reflection of how things go in other aspects of my life as well. I am grateful every day that I love and serve a God who remembers that I am dust, that I want to but so often fail to keep my commitments, to live a disciplined life, and to follow through with my good intentions. A holy God who over and over again extends grace to his broken children. That is a God I can commit to serving and honouring with all my heart, every day of the year. So Happy New Year to you all. May 2019 be a year filled with hope, joy, and peace. And may we all extend to others, and to ourselves, the grace we ourselves have been shown by our good God. Father God, we ask that you would prepare our hearts as we enter this holy season. Your Son, when he came to earth as a baby, was called Wonderful Counsellor, Almighty God, Everlasting Father, Prince of Peace. May we honour him as Wonderful Counsellor, by listening to that still, small voice leading and guiding us every moment of every day. May we honour him as Almighty God by always giving him first place in our hearts and our lives. May we honour him as Everlasting Father by coming before him with reverence and placing ourselves under his care and protection, and may we honour him as Prince of Peace by taking time, in this Christmas season and all through the year, to live lives not characterized by stress, rushing, busyness or performance, but by peace. A very blessed Christmas to you all. My prayer for each one of you is that you experience the supernatural joy and peace of God throughout this sacred and holy season as we celebrate and give thanks for the greatest gift ever given.